New York, NY - April 16, 2014 - Attorney General Eric T. Schneiderman today announced a court order that permanently bars real estate developer Richard T. Mohring, Jr., his wife, Deborah Mohring, and their company, R&D Willis Avenue, LLC, from engaging in any activity related to the public offering of condominium sales in or from New York. The court ruling comes after Richard Mohring, the developer of the Cambridge Park Condominium on Long Island, was arrested on contempt of court charges for failing to pay $215,000 in restitution to the victims of fraud perpetrated by him and his wife, Deborah Mohring, and for failing to abide by three court orders requiring them to make repairs to the complex at 711-725 Willis Avenue, in Williston Park. The Mohrings, who live and work in Glen Cove, developed and sold apartments in the Cambridge Park Condominium while promising purchasers that they would repair a retaining wall on the property. For years, they failed to fix the wall, endangering the lives of condominium residents. In 2011, the Attorney General filed a lawsuit against the Mohrings and proved that they pocketed the proceeds of unit sales at Cambridge Park Condominium while failing to repair a retaining wall on the premises. The developers also failed to obtain the necessary certificates of occupancy for nearly half the units, rendering many of them illegal to occupy or rent and virtually impossible to resell. In 2012, after the Mohrings willfully defied court orders requiring that they repair the retaining wall and obtain the required certificates of occupancy, the Attorney General moved to hold the Mohrings in contempt of court. Only after the court issued warrants for the Mohrings’ arrest, and Mr. Mohring was arrested, did they pay $215,000 to the condominium. The Attorney General then moved for permanent injunctive relief to bar the Mohrings from future condominium sales, and for civil penalties and costs. The court’s April 14, 2014, order permanently enjoined the developers from engaging in any fraudulent, deceptive or illegal act in connection with any business or activity, as well as from engaging in any business or activity in connection with the public offering of condominium units in or from New York. 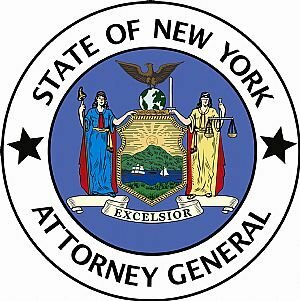 The order also requires the developers to make a payment of $81,500 in civil penalties and $2,000 in costs to the State of New York. Click here for a copy of the court order and here for further information on the case. This case was handled by Assistant Attorney General Serwat Farooq, Special Counsel Jeffrey R. Rendin, and Special Counsel Marissa Piesman, all of the Real Estate Finance Bureau, as well as Executive Deputy Attorney General for Economic Justice Karla G. Sanchez. Subject: LongIsland.com - Your Name sent you Article details of "AG Schneiderman Announces Court Ruling Permanently Banning Long Island Developers from Selling Condos"